The past and present of the Cleveland Browns will be on hand at the 2013 Cleveland Auto Show. On Monday, Feb. 25, don’t miss Bernie Kosar and Brandon Weeden will be signing autographs and meeting fans at Ford’s display. On Saturday, March 2 from 2:30 to 3:30 p.m., meet return specialist and wide receiver Josh Cribbs at the Hyundai display. Kosar of course needs no introduction. 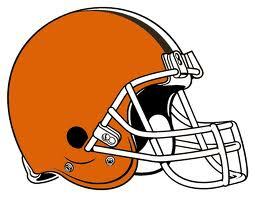 The retired quarterback is still a Browns legend for what he accomplished in the 1980s with the team. Weeden was the team’s first round draft pick in 2012, and had a promising rookie season. See these Browns quarterback’s from 6 to 8 p.m. Monday. Monday is also Family Night at the Cleveland Auto Show. Cribbs is current Browns legend. The Kent State grad holds the NFL record for punt and kick off returns for a touchdown, and he’s known for thrilling fans on a game-to-game basis. The Cleveland Auto Show starts Friday, Feb. 22 and runs through Sunday, March 3 at the IX Center in Cleveland. We will have plenty tickets to giveaway for this year’s show, so keep reading our updates, and make sure to check our Facebook page and blogs to see how you can win! News is coming fast and furious from the show. Don’t miss out on the latest news.